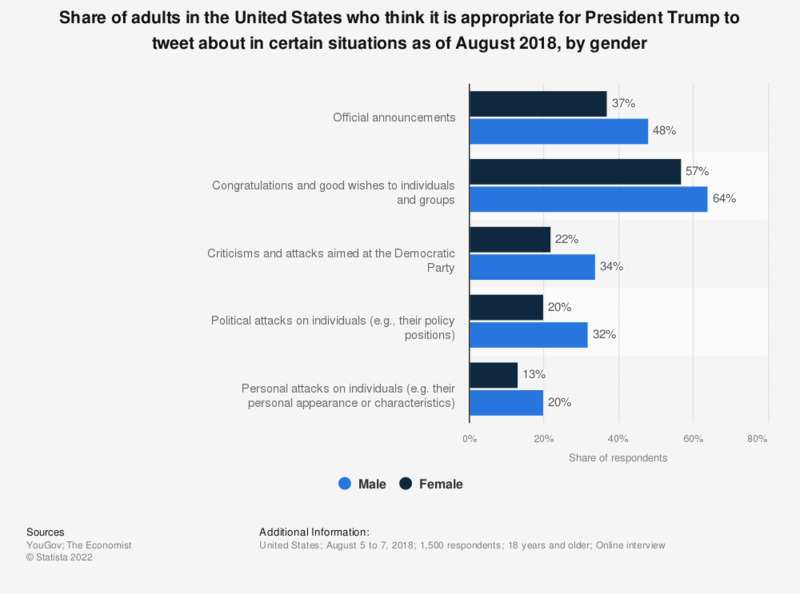 This statistic presents the share of adults in the United States who think it is appropriate for President Trump to tweet in certain situations as of August 2018, sorted by gender. According to the findings, 48 percent of male respondents stated that it was appropriate for President Trump to tweet about situations regarding official announcements, while in comparison only 37 percent of female respondents reported similarly. Question: "Is it appropriate or inappropriate for the President to tweet ..."